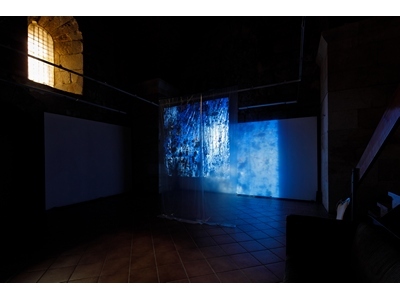 Thanks to the programmatic agility of the Art Gallery Kula we are able to explorethe photographic opus of Miguel Rio Brancoas a classical exhibition of photographs in the Milesi Palace, and in the format of the two-sided animated projection in the Gallery’smain space. Rio Branco’s oeuvre will meet all expectations thatwe fostered, within the Croatian cultural discourse, towards the visual arts of the Hispanic circle, and particularly that of Latin American artists. Indeed, our aesthetic code is so measurably different that,already at first glance, Rio Branco’s photographs appear exotic even though we certainly recognize all their component parts and the methodology the artist employs when creating the specific atmosphere of his compositions. Like all photographers, Rio Branco records the reality that surrounds him and in ithe finds, like all artists do, situations and elements that will, when isolated through his observation and formed by his authorial approach, result in perception of reality tailored to his personal measure. Rio Branco is exceptionally suggestive artist. His framing encloses the scene economically and out of only a few selected and recorded visual stimuli, the observer’s imagination spontaneously recognizes or anticipates the course of event. He is a master of detail andnarrow shotsthat focus the viewers’ attention on the scenetheir imagination will use as thedriver of narrative sequence that took place before, i.e. after the shot was taken, soone has a feeling as if looking at a frame taken out from film. The feathers scattered on pavement or a blood spot and a discarded dagger,in his typical chiaroscuro manner, are sufficient indicators that what took place was inevitable, fatal and brutal. The mood is suffocating, the action is taking place in an atmosphere saturated with scent, frankincense, humid body vapours even though, based on the presented photographs, people are not his favourite motif. Rio Branco is one of those visual artists in whose works the suggestion of the invisible, that which is omitted, is equally powerful as the visible. Rio Branco’s frame is an excellent trigger of the phenomenon of sensory synaesthesia. His photographs can be heard and smelled as much as they are seen. Materials are easily recognized, surfaces tactilely convincing, while Rio Branco’s masterful control and manipulation of light adds visual opulenceasa crucial factor in the powerful charge and ambience of the composition. The reality recorded and presented by Rio Branco is very scenic, full of minutely registered details, sensual in materials, almost ecstatic in his ability to reveal macabre sensuality that is seething in the most unexpected spaces such as side streets, dusty church niches, or circus arenas. Based on the selected photographs, Rio Branco’s interest lies in the urban spaces, often segments of the grandiose Baroque architecture, especially church interiors, as well as details of sculptures and paintings which, albeit anonymous, indicate with their verism the proverbial Hispanic need and ability to provoke the viewer’s and believer’s empathytowards the suffering and ecstasies of saints. In his photographs Rio Branco proves to be a true disciple and follower of famous artists of the Spanish Baroque and tenebriso that obviously left a permanent influence on the visual culture of the Iberian Peninsula and its former transatlantic colonies. Although a coincidence, the baroque architecture of the Milesi Palace is an ideal space for Rio Branco’s first exhibition in Croatia and our regretis that much greater that its galleries did not preserve some of their original decor, but are, in contrast to the opulent outer surfaces of the building and its stairwell, designed as ready-made non-descript exhibition spaces. However, part of the exhibition based on the projection of photographs will integrate well with the Late Antique monumentality and expressivity of the north-western corner tower of the Diocletian’s Palace in which the Gallery is located. Miguel Rio Branco wouldhave taken, I am certain, an exquisite series of photographs of the Diocletian’sPalace and, starting from his cultural heritage and mindset, would have opened perspectives that were closed to our mind’s eye. To engage a photographer with his sensibility would definitely representa thoughtful and sophisticated strategic act that would help create an internationally visible and relevant image of Split.